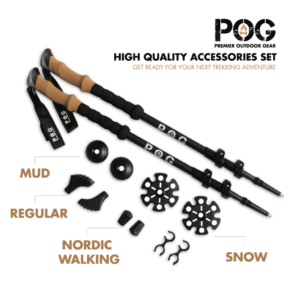 POG brings you the best value on Hiking Poles available. 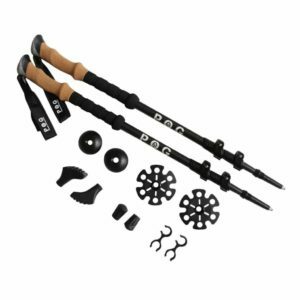 Compare the features of our 3K Carbon Fiber Trekking Poles to the competition and you will discover we offer the most for your outdoor hiking budget. Buy your POG Trekking Poles today, and our one year guaranteed warranty against manufacturing defects will give you peace of mind. 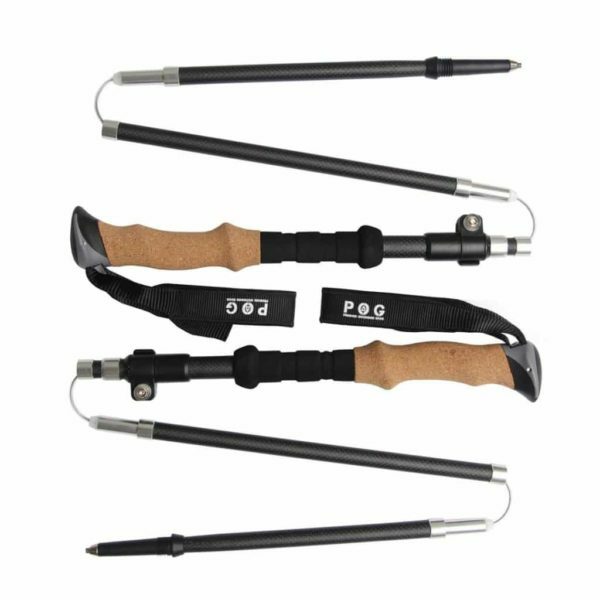 I am not a hiker and have never used hiking or trekking poles but I have back and knee problems and decided to give them a try. They worked very well. I was able to be on my feet much longer with little or no pain. The Kephart poles were very light for traveling (a real concern with air travel these days) and folded to a very convenient length for my back pack. The poles were easy to use and folded and unfolded quickly. The price seemed very reasonable. POG was great to work with. The only minor problem was that the stitching on the carry bag tore easily and my wife had to resew it. Awesome poles, lightweight and great price. They aren’t as stiff as the luxury poles as I call the, But overall I’d buy these again over any other poles. I don’t understand how anyone could spend over 100$ when these are available. 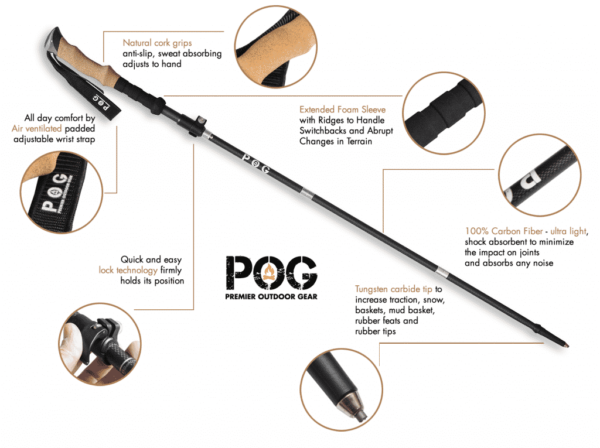 This is by far the best trekking pole you can purchase.I spent a lot of time researching hiking poles such as Black Diamond, Montem , REI to Cascade Mountain. The features that I was looking for are compact, lightweight and carbon fiber shaft. The cork grip on these poles is much better than foam on Black Diamond poles. I like the lighter weight of carbon fibre and how small it packs and adjust. most trekking poles with same quality are double the price. I highly recommend Kephart Z Fold Trekking Poles! Ralph FI bought these poles after reading a whole bunch of hiking pole reviews. 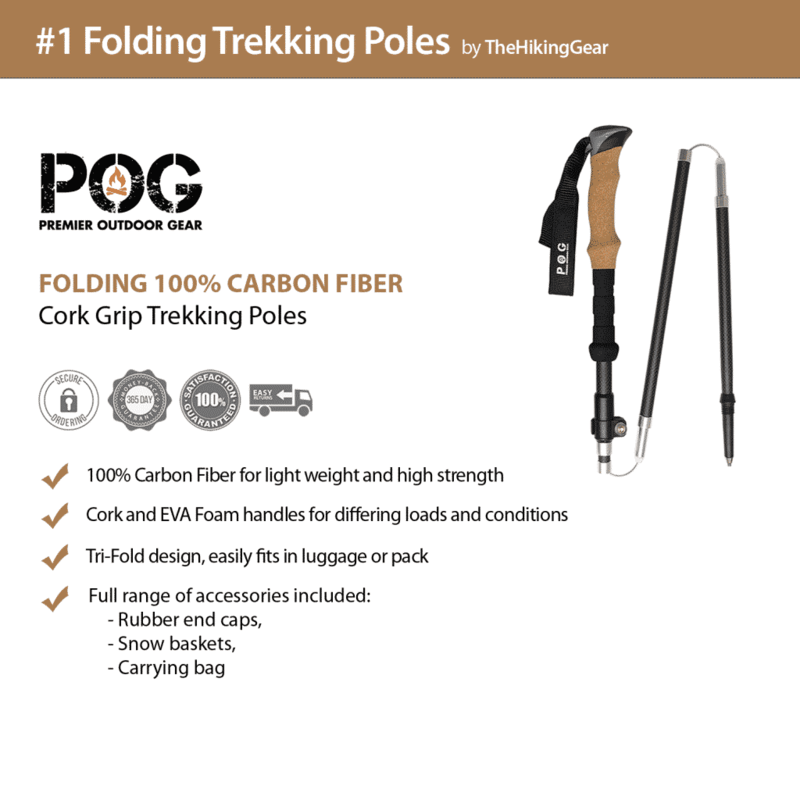 In those reviews I figured out that I wanted folding poles, as compact as I could get them. These Kepharts fit the bill and now after 6 months of use, they are working just like new. No rattle and they still look great - like new. You can spend alot more money, I almost did, but I do not think you will get better poles. 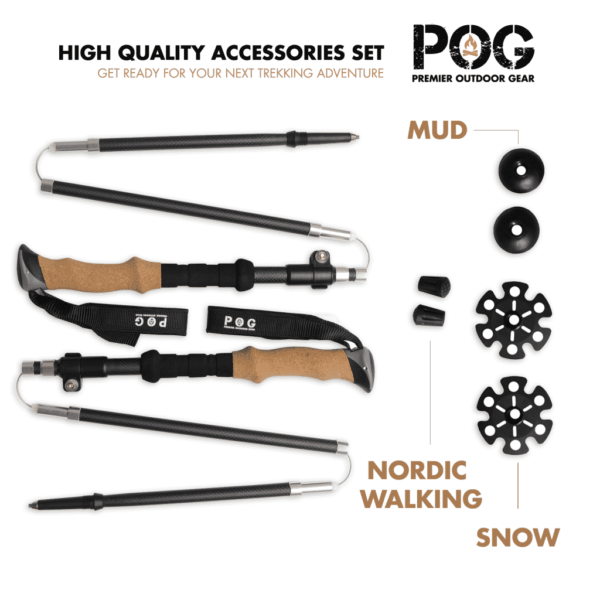 I have to say I wasn’t really expecting the “high quality” that POG promised with these trekking poles, since their price was a fraction of the other poles I had looked at. 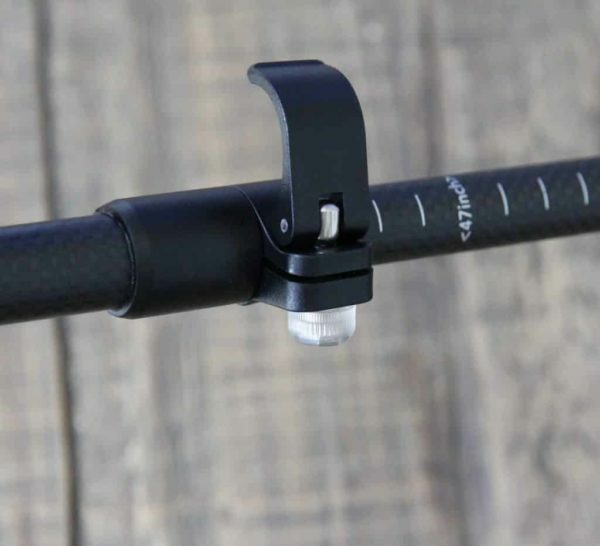 Since I don’t really use trekking poles too often I didn’t want to drop a ton of money on some of the “elite” brand ones that were in the upward 100’s and 200’s. I was pleasantly surprised when I got them, the quality is great, but also the customer service is extremely fast. The product is great! Overall I would give it an A+ rating! Super easy to put together and adjust. I’m a huge fan of the grip under the cork, that way if I’m going up a small steep incline, I don’t have to stop to adjust the height then readjust it, I can just lower my hand. I do a lot of hiking at high altitudes and there is always snow on the ground. The snow accessory has come in handy time after time, and it works great, my old poles used to just go straight through the snow and didn’t really help me as much as these do. Overall very pleased with the product, would recommend to a friend. This company’s customer service is amazing. They are small for now, but by far the best I’ve ever dealt with, I’m a pretty old guy. For the last 15 years I’ve been using trekking poles, the grip on the poles is top notch, just as comfortable as any other pole I’ve ever had. The second foam grip under the cork has come in handy countless times when climbing up steep hills. My old pair didn’t have this and I can’t believe I lived without it. The carbon fiber has almost no vibration at all, which was something I was a little skeptical of, and the poles are extremely light. They also feel very sturdy. In terms of pricing, this has got to be the best bang for your buck, you won’t find any other poles of this quality even close to this price range. Can’t wait to see this company grow. 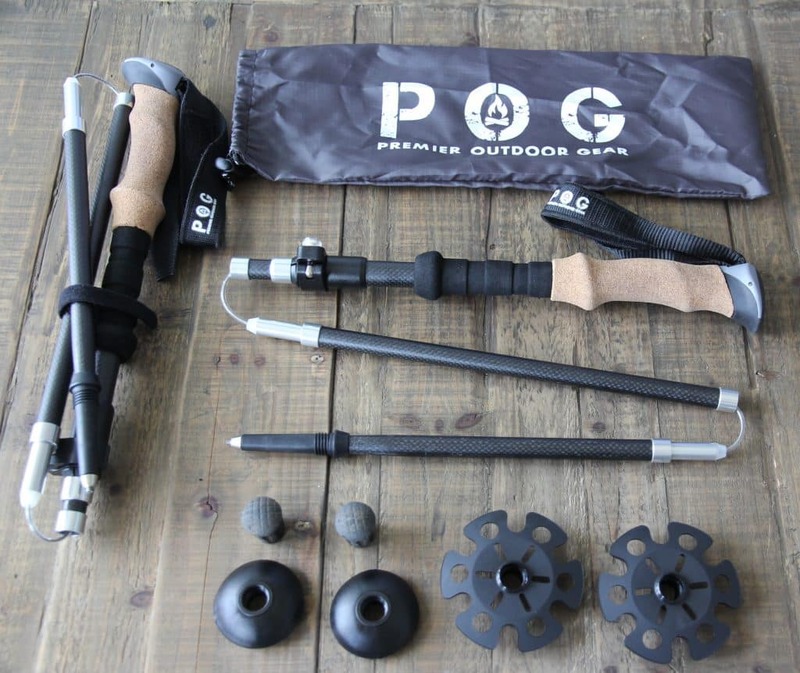 This has got to be the best trekking poles on the market. I’ve spent hours researching poles and have looked into every brand, including Cascade Mountain and Black Diamond. The main things I was looking for in a pole, was something that would be lightweight, easily adjustable, sturdy, and having a cork handle. The poles from POG had all these features. The set up was easy, and it was very easy to adjust. One of my concerns is that I’m 6’6 and my wife is 5’3 so I needed something that could be used by both of us. She was able to use the pole at almost the lowest setting, while I was at the highest. Its performed great on the trail, and the extra caps are great, even though I probably won’t be ever using the snow add on. The adjust lock is very efficient, all you have to do is flip it out and then flip it back in. The informational video on the website for the product was very helpful. I realized about a week before my trip to Canada that my current trekking poles didn’t fit in my pack. In a frantic rush I started to browse amazon and other sites for some hiking poles. I needed some that would collapse down to a small size. 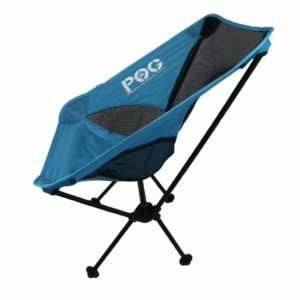 I soon came across POG and the ZFold looked like the perfect match for my needs. I ended up getting them a day before leaving for my trip, So I didn’t have any time to test them out. I ended up using them my entire week long trip and had no problems what so ever. They worked magnificently and supported my weight fully. Not only that but the hand grip was actually pretty comfortable and the fact that they weighed next to nothing and compacted down so easily was an added bonus. My guide for my trip actually liked the poles so much he asked me if he could buy them from me! I was recently in a car accident and my lower back hasn’t been the same since. I’ve always loved hiking and camping in the outdoors, and I didn’t want my injury to affect my love for nature. I had never used trekking poles before, but I thought I’d give them a try. I didn’t know much about them, but I saw that these had some pretty good reviews, and all the statistics of them looked pretty great, along with the price. Once I got them, I tried them out around my house with the rubber tip and honestly I felt the stress on my lower back instantly relieved. Wasn’t soon after that I decided to test them out on a small day hike on the Appalachian trail. I was thoroughly amazed. No back pain at all. I was so worried that I would never be able to enjoy the outdoors again, I would highly recommend these to anyone in a similar situation as myself. So I just started hiking and it wasn’t soon before I realized have no balance at all when going up steep trails. I have fallen over countless times, and it’s become a little joke within my family. I decided I needed some trekking poles, so I could stop coming home from every trip with skinned up legs. 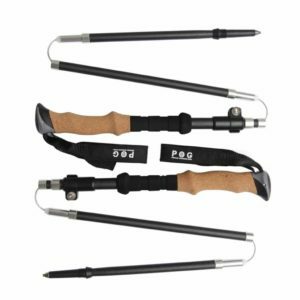 I started looking online for some of the best trekking poles and was overwhelmed by the selection. Most of them seemed to be a little to expensive for my taste, but I still wanted something that was high quality and wouldn’t break very easily. Everything I read about these poles seemed to be positive so I decided to go for it since the price wasn’t too bad. I received them in about a week and they came in their own pack which is nice. I opened them up and adjusted the size to my liking which took about 30 seconds. The handle is extremely nice, and the rubber tip adjustment prevents a lot of shock. Since I’ve gotten these I haven’t tripped yet so I’m pretty pleased with the purchase. I used to have some of those Leki walking sticks, and these compare very closely to them, but they are half the price. And another benefit is that these collapse into a carry size. If you aren’t sure to buy these or not, this is a low cost way to get a great quality stick. The tip also comes with multiple accessories which are pretty great for any terrain. I’m very satisfied with my purchase. 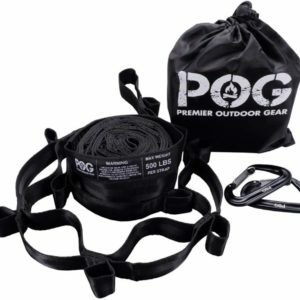 Being a scout leader, I’m always outdoors hiking and what not, and I’m always looking for camping items that are not only functional, but also durable. These poles have held up against anything a teenager could throw at it in the woods. They are lightweight, but also extremely strong. Super easy to assemble/disassemble, and durable as hell. The clasps were very easy to use to adjust the height of the pole, and the tip has yet to break. I have recommended these poles to pretty much everyone in my scout troop. I bought these trekking poles about a month ago and was planning on making a trip to new Zealand, where I would later use them. The reason I bought the Kephart is because the poles I had didn’t collapse, and I needed it to collapse to around 14 inches for my carry on luggage. I also wanted it to fit in my daypack. I wasn’t too concerned about weight but these are light as a feather, which is another advantage. They never seemed like a burden while I was carrying them around. The first time I assembled them it took me a little while to figure out how to pull it down so all the pieces clicked together. But once I did it one time, I was able to do it in seconds after that. None of my hikes during my vacation were particularly hard, but some were a decent length and had some steep inclines, and were occasionally slippery. I wasn’t sure if the trekking poles would be as sturdy as the one piece ones, since they were collapsible. But I shouldn’t have worried, because these held up great. These poles are well built, sturdy, and felt firm in my hand. Long story short, I am very happy with the quality of this product and expect to use it for years to come. I’m 73 years old, and have terrible knees. I received these Kephart ZFold Trekking poles and I love them. I’m planning on hiking part of the Pacific Crest trail in August. My husband used some hiking sticks when he hiked on the Appalachian trail and I borrowed his. His however didn’t fold at all and were a fuss to put up on carry on luggage, so I started searching on the internet to find some that collapsed. I found a lot of great reviews about these poles so I decided to give them a try. They are very comfortable and stable. My arms ended up getting a little sore when using them, since I was taking so much weight off my legs, but I quickly got used to it. I’m really looking forward to try them on my trip! I’m writing this review because these were the first trekking poles I have ever purchased. 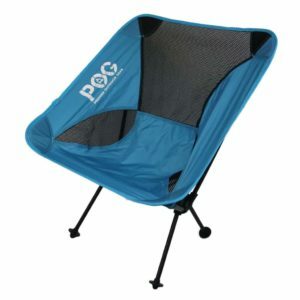 I’m planning a trip to Manchu Picchu in the fall and I needed some poles that broke down to a fairly compactable size. These fit the description perfectly. Also at Manchu Picchu rubber tips are required, and these poles had the rubber tip as an accessory. The bag they came in was also very nice. It took me a few seconds to put them together, and when I tested them out they didn’t flex at all. I will write another review once I get back from my trip. 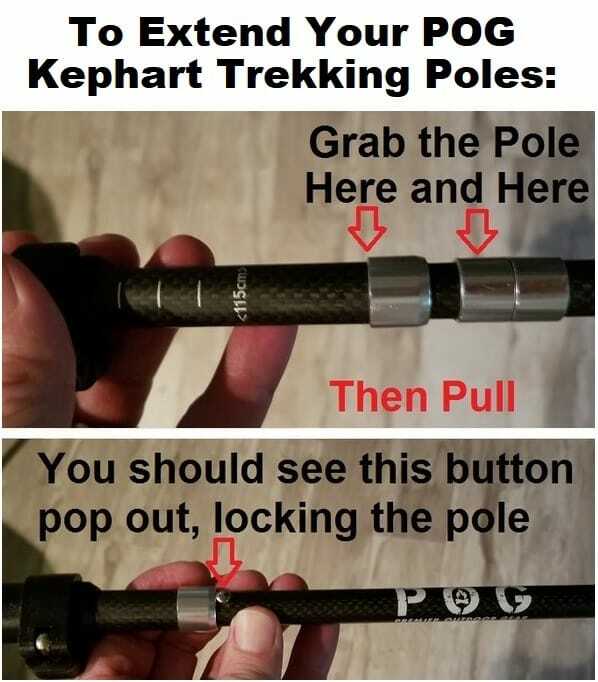 These are some pretty good trekking poles. I’m not going to give them five stars, only because I’m comparing them to my current black Diamond Ergo poles, but the price difference is pretty drastic. So these are actually exceptional for their price. Excellent quality and craftsmanship. For 30+ years I’ve been hiking with a single hiking stick. Although I had always read about how great trekking poles were, their price always seemed a little outrageous to me. Until I stumbled upon POG, after I read the reviews I decided to break free of my previous constraints and give in to the new trekking pole rave. I still haven’t been able to try them on a trail, but just from walking around my house I can tell you they are light, sturdy and seem to be made of very high quality material. I am eager to try them on the trail in the next few months. I bought these for my trip to Nepal, and they didn’t let me down. Even my guides during the trip who had never used poles before wanted to try them. Also they made it through airport security with a breeze, but I would recommend putting the rubber tip on just in case. I bought these poles because I wanted one that could adjust to my height (6’2) but also one that could go to 5 feet for my wife. I’m giving it 4 stars because at the lowest setting it still was a little to long for my wife. However I love them and use them very often. 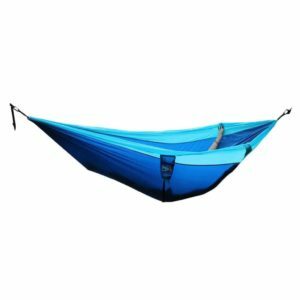 I was surprised that the price was so low since it’s made with carbon fiber, and most of the other poles on the market with this material are 150$ or more. Thought it was a gimmick but so far, I’ve had nothing but good things to tell people about them. I have knee arthritis and I love to hike, two things that don’t normally go hand in hand. Not getting any younger, am I? I got these for myself and my husband. I felt so much more confidence hiking with these. I love them! I bought these as a birthday present for my son. He’s in the boy scouts and is about to go on Philmont, the two week hiking trip in New Mexico. Everything I read about these seemed good, and the price was very low for the quality. He was extremely excited to get them and is very eager to try them out on the trail. He’s been walking around our backyard with them for a few days now, and seems to really like them. I’m very impressed with these poles. I lost most of my balance after I had several hip and knee surgeries. My wife and I love traveling and never check baggage, so I always keep an eye out for collapsible poles that can fold to a small enough size to fit in my suitcase. My old poles are the ones that are spring loaded, they were very expensive but they always collapse if I hit the ground the wrong way with them. These poles however have a much nicer design They can fold to around 14”. I bought these poles as an extra set to keep in my backpack as a backup pair to the Black Diamond Shock poles, which I have been using for a few years. I finally took these poles out yesterday to use on a little day hike in Nepal and I have to say that these things are great. I may actually retire my Black Diamond poles and switch these to my main ones. They are extremely light and easy to adjust. The cork handle provides great comfort, and doesn’t get sticky when you sweat, in fact the grip stays in tact no matter how sweaty it gets. They were half the price of my Black Diamonds. You can’t go wrong with these. These poles are perfect for my height (5’4”) and are very comfortable to hold. My hiking partner has a different set of hiking poles and she was impressed with these Kephart poles because of how easily the fold. The customer service has been great as well. One of the locking mechanisms failed on my pole after a few months of using them 3-4 times a week, and they replaced them in a heartbeat. One of the best customer service representatives I have ever dealt with. I do mountain hiking almost 5 times a week, and I was in need of some new poles. I had researched a ton and was about to spend 140$ on Leki poles which seemed to have the best reviews, when I these poles, which are almost identical, half the price, and come with the different tips. I wanted the zfold type because I typically put my poles in my backpack when I don’t feel like using them and carrying them had gotten very annoying. I’m 5’9” and they worked great for me. The handle is exceptionally comfortable compared to my old poles, and the extra foam below will definitely come in handy. I bought these in a frantic rush to get some poles that were fairly cheap. I was expecting much. I was wrong to think that, these compare to my Black Diamonds. They are comfortable and light. You won’t be disappointed with the purchase. 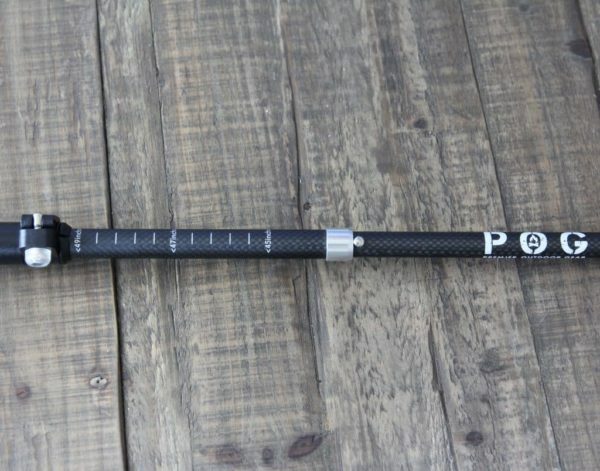 Great price for carbon fiber poles. I used them last weekend for three short trails. The trekking poles worked really well. They are well built but also light. Highly recommend.